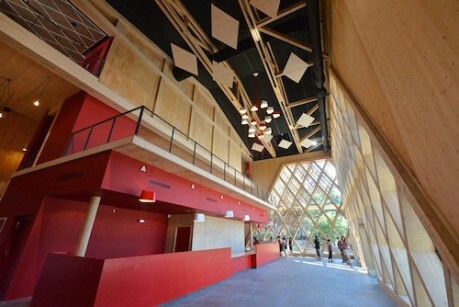 The Jean-Claude Carrière theatre is a unique «environmentally friendly» project, based on a global environmental approach aiming for general energy efficiency and for environmental quality standards. Other than the slab that supports it, the entire structure could be dismantled and rebuilt on a different site. Just like the similar project at the Comédie Française (the «théâtre éphémère»), the structure is entirely built out of wood panels (KLH). The unique design is enhanced by a light wooden lozenge structure recovering the entire building. The renowned Montpellier architect firm A+ architecture has been entrusted with this project, which from the very beginning has been designed taking the natural environment of the location into account : a construction which can be entirely dismantled, the use of wood, a light architectural expression, respecting the surrounding wooded zone. 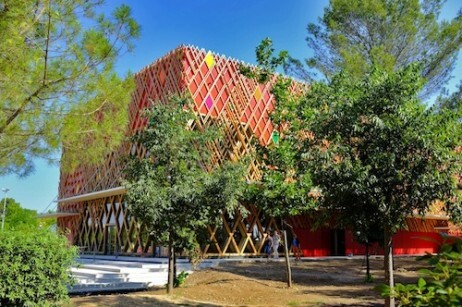 The building is entirely built of recyclable material, using for instance PECF labelled wood, providing an outstanding carbon footprint for this project. Eight museums in the Tyne and Wear in the north east of the United Kingdom are taking action to address climate change. 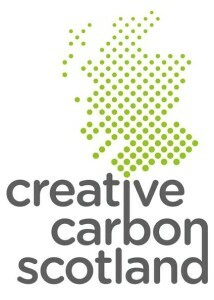 In April 2013, they launched a new initiative called ‘Make Carbon History’. The first goal is to reduce their carbon footprint by 12 percent within the next two years. With the UK Government committing to reduce carbon emissions by 80 percent by 2050, museums across the north east of the country, in a region called Tyne and Wear, have decided they want to play their part in helping to achieve this target. Led by Tyne and Wear Archives and Museums (TWAM) through the Museum Development Programme funded by Arts Council England, ‘Make Carbon History’ is a two-year programme of support that will enable museums to reduce their carbon footprint by 12 percent by 2015, whilst helping reduce their carbon footprint and become more sustainable. And not only that, they also want to help create a sustainable future for communities across the region. The not-for-profit low-carbon consultancy CO2Sense will work with the eight museums to identify and implement practical solutions to minimise their carbon emissions through reduced grid energy demand and sustainable facility management. These measures will allow the museums to reduce their energy bills, whilst also creating a more comfortable environment for visitors, staff and volunteers. “The Director is fully committed to supporting the green campaign and champions green issues including setting a corporate objective in the organisation’s operational plan, chairing the TWAM Energy Reduction Group and ring-fencing an allocation of capital resources for sustainable ‘invest to save’ initiatives. The Senior Management Team takes the lead on environmental performance, awareness and engagement activities for TWAM. Managers throughout the organisation are committed to improving the physical infrastructure and environmental management of their individual venues, and minimising the environmental impact of services they provide. TWAM has achieved the Julie’s Bicycle certification programme standard, Industry Green, which acknowledges its environmentally responsible business practices, and its commitment to ongoing improvement. The Industry Green (IG) Standard is the environmental certification scheme managed by Julie’s Bicycle which provides an audit report of environmental performance covering energy, waste, water and travel. The museums across Tyne and Wear who are currently engaged in the programme are: Bebe’s World, Heugh Gun Batterty, Killhope Lead Mining Museum, Woodhorn Museum, Oriental Museum, Durham Light Infantry, Middlesborough Institute of Modern Art, and Hexham Old Gaol. ArtsBuild is the only organization in Ontario dedicated to realizing long-term solutions to building, managing and financing the sustainable facilities – like theatres, galleries, concert hall and museums – needed for vibrant cultural activity to flourish in Ontario’s communities. A recent focus for ArtsBuild is energy conservation and sustainability. We know many arts organizations want to reduce their energy. To help you achieve that goal, ArtsBuild has partnered with leading nonprofit and private sector organizations to provide you with a new suite of tools, resources and services that can help you to achieve greater energy and cost savings. We invite you to take part in our current offerings. 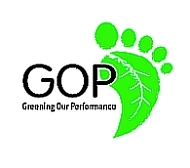 Measuring and tracking your facility’s utility usage and emission profile allows you to better understand and report your carbon footprint. 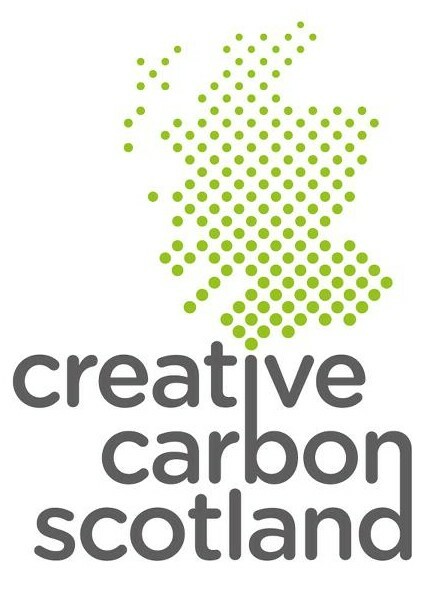 ArtsBuild has partnered with CarbonCounted, a nonprofit organization, to offer Ontario’s arts organizations a free subscription to an easy-to-use online Carbon Footprint Measurement Tool. Developed by CarbonCounted, specifically for the arts sector, the Carbon Footprint Measurement Tool will help you to measure and track your facility’s utility usage and emission profile. It will allow you to identify opportunities for energy efficiencies, compare your facility with others across the province and get the data you need to report your progress in reducing your carbon footprint to key stakeholders. Reducing energy consumption – and our utilities bills – is top of mind for many of us. And every dollar saved can go to our programming! ArtsBuild has partnered with GLOBE, the energy management subsidiary of our nonprofit partner Housing Services Corp, to deliver an in-person, energy savings assessment tailored to the needs of the arts sector. GLOBE energy auditors will analyze your utilities bills, make a site visit to assess your facility and help you register for the many incentive programs offered through the Ontario Power Authority and your local utilities providers. Your personalized energy savings opportunities assessment will show you the things you can do today to reduce your energy consumption, and also the improvements you could make that have the best and fastest paybacks. With the support of the Government of Canada, ArtsBuild is pleased to offer a subsidy for the Energy Savings Assessment to a limited number of organizations. Register your interest here for more information so you can benefit from this program. Join your peers and Ian Garrett, one of North America’s most respected voices on sustainable practices in the performing arts, on April 4th, in an online conversation about operational ecology. By looking at current research and examples, Ian will guide participants through this very timely topic. By joining this free session, you will learn how to identify key performance indicators around sustainability and the cost/benefit analysis for tackling the low hanging fruit by making simple changes in how you operate will improve your energy efficiency.. Ian will also address some of the possible misconceptions about the ecological impact of the creative sector. This session, and all of ArtsBuild’s Communities of Interest are intended for those who manage cultural facilities and coordinate across departments. ArtsBuild is the only organization in our province dedicated to realizing long-term solutions to building, managing and financing the sustainable facilities needed for vibrant cultural activity to flourish in Ontario’s communities. 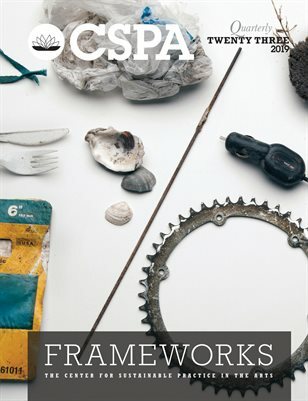 We are involved with over 700 arts organizations across Ontario and together with our industry, nonprofit and government partners, we jointly and cost-effectively develop and deliver innovative tools, services and resources to help arts organizations construct and operate the facilities they need. Balance-Unbalance is an International Conference designed to use art as a catalyst to explore intersections between nature, science, technology and society as we move into an era of both unprecedented ecological threats and transdisciplinary possibilities. We are thoroughly looking forward to hosting artists, scientists, economists, philosophers, politicians, sociologists, engineers and policy experts from across the world to engage in dialogue and action towards a sustainable future. 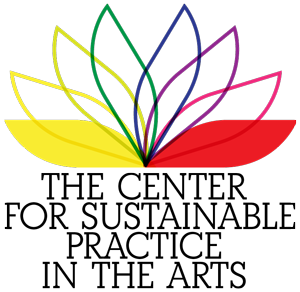 Balance-Unbalance 2013 will also host a diversity of virtual components allowing global accessibility and significantly reducing the carbon footprint of a major international conference. One of the main goals of Balance-Unbalance is to develop the role of the arts and artists in dealing with environmental challenges. The previous events held in Buenos Aires in 2010 and Montreal in 2011 ( http://balance-unbalance2011.hexagram.ca ) provided a powerful platform for reflection, debate, and ideas leading towards Balance-Unbalance 2013, hosted in the UNESCO Noosa Biosphere Reserve on the Sunshine Coast of Australia. The 2013 conference theme, Future Nature, Future Culture[s] is aimed to provoke discourse around what our elusive future might hold and how transdisciplinary thought and action could be used as tools for positive change. Submissions are now being accepted for the International Balance-Unbalance 2013 conference to be held at Central Queensland University in Noosa, Australia from May 31 – June 2, 2013. Balance-Unbalance 2013 is being held in the beautiful resort town of Noosa, in parallel with the Floating Land 2013 Green Art festival and just prior to the ISEA 2013 (International Symposium on Electronic Art) conference in Sydney, so participants can maximise their time in Australia by attending all three events. If There Is I Haven’t Found it Yet, with Brian O’Byrne and Jake Gyllenhaal, opened in New York’s Roundabout Theatre in September and runs through 25 November. 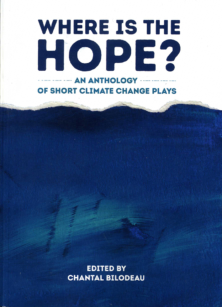 It was written by Nick Payne, and inspired by his reading of Heat by George Monbiot, about decreasing one’s carbon footprint. Payne saw that many authors of environmentally-themed books had dedicated them to their children, and it gave him the idea of a father trying to save the planet in order to make the world a better place for his children, and beyond. But the father is so wrapped up in his work that he fails to notice the problems within his own family. The New York Times review is here. On one level, we are watching a domestic drama play about a mother, father, daughter, and uncle. 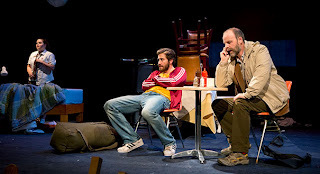 But the play also takes on a much bigger global issue. We all want to do the right thing for both the world at large and for the world of our own family, but maybe that’s impossible. One of the main goals of Balance-Unbalance is to develop the role of the arts and artists in dealing with environmental challenges. The previous events held in Buenos Aires in 2010 and Montreal in 2011 provided a powerful platform for reflection, debate, and ideas leading towards Balance-Unbalance 2013, hosted in the UNESCO Noosa Biosphere Reserve on the Sunshine Coast of Australia. 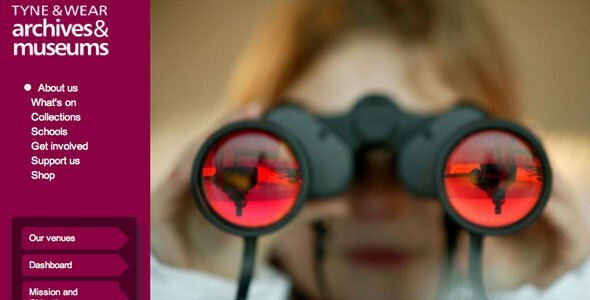 The 2013 conference theme, Future Nature, Future Culture[s] is aimed to provoke discourse around what our elusive future might hold and how transdisciplinary thought and action could be used as tools for positive change. Submissions are now being accepted (until November 30th) for the International Balance-Unbalance 2013 conference to be held at Central Queensland University in Noosa, Australia from May 31 – June 2, 2013. Balance-Unbalance 2013 is being held in the beautiful resort town of Noosa, in parallel with the Floating Land 2013 Green Art festival and just prior to the ISEA 2013 (International Symposium on Electronic Art) conference in Sydney, so participants can maximize their time in Australia by attending all three events. 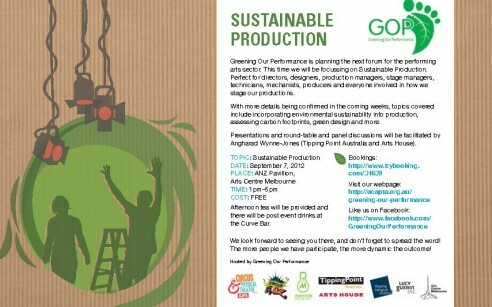 Join us for the fourth workshop in the 2012 Greening Our Performance series as we tackle sustainable production. How do we incorporate sustainability into production? Is it possible to assess our carbon footprint and what is Green Design? Facilitated by Angharad Wynne-Jones (Tipping Point Australia and Artshouse), this sessions will involve a number of practical presentations and panel discussions by some of the industry’s leading sustainable practitioners. Afternoon tea will be provided and we invite you to join us for post event drinks at the Curve Bar afterwards. VENUE: ANZ Pavillion, Arts Centre Melbourne, VIC. 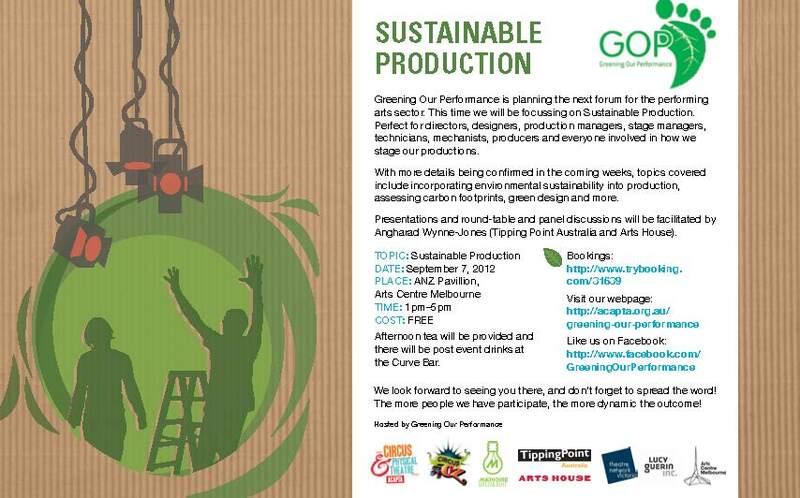 via Trybooking | Greening Our Performance – Production. The Association for Literature, Environment, and Culture in Canada / Association pour la littérature, l’environnement et la culture au Canada (ALECC) is a non-profit organization focused on the creation, appreciation, discussion, analysis, and dissemination of knowledge about the work of nature writers, environmental writers and journalists, eco-artists of all disciplines, ecocritics, and ecotheorists in Canada. Collectively they are interested in artistic, critical and cultural studies work on activism, animals, ecology, the environment, environmental justice, geography, land, landscape, mountain literature and culture, nature and nature writing, natural history writing, plants, region, regionalism, the rural, sense of place, transborder environmental issues, wilderness and wilder places, and much more. The 2012 ALECC Conference will be focused on “place” as an embodied, embedded, troubling, elusive, contested, personal, political, and ecological site in which space + memory = place, in an astonishingly complex range of ways.